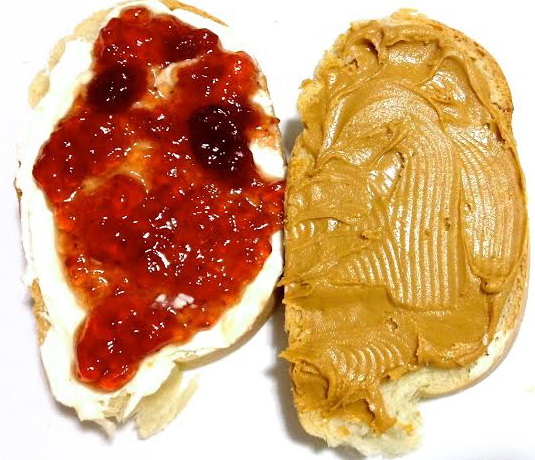 Unique updates to the classic peanut butter and jelly sandwich we all know and love. Your taste buds knew early on that sweet and salty make the perfect combination. This is no exception in a peanut butter and jelly sandwich. Now that you’ve matured, it’s time to update this classic sandy and surprise your taste buds with more upscale flavors and textures. Add another dimension by introducing a new texture. For a nice crunch, add a layer of nuts, flax seeds or chia seeds. Be creative with your choice of nuts: you don’t have to combine peanuts with peanut butter; try almonds to reinforce the nutty flavor or pecans to pack an extra punch of sweetness. For a subtle change, add flax or chia seeds. Think of them as rainbow sprinkles on soft serve, except healthier. Both chia and flax seeds are high in Omega-3 fatty acids (healthy fats) that can tame your growling stomach. Like sweet and salty, sweet and spicy also form a great relationship. Imagine them all together—it’s a triple threat. Adding spice can help balance out the jelly’s sweetness and the oils in peanut butter can cool the burn from the spice. This one’s for all you hot sauce fanatics—go crazy. While any hot sauce does the trick, Sriracha is a personal favorite. 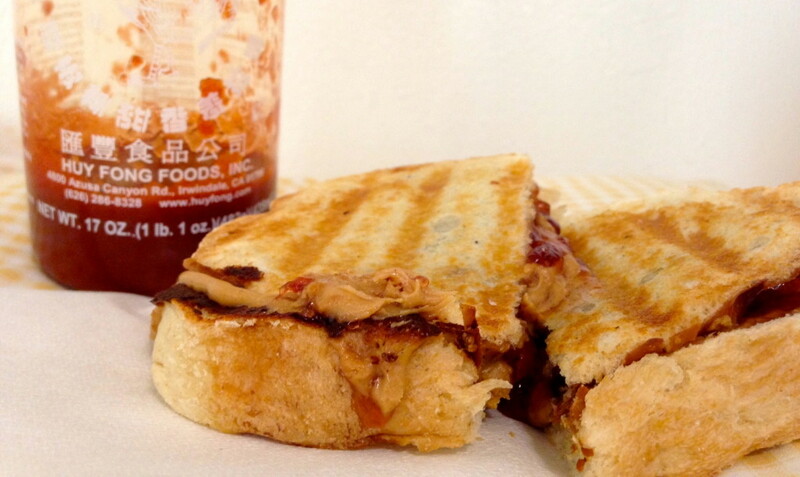 When mixed into peanut butter, it tastes just like Thai peanut sauce. If you’re really adventurous, replace or combine typical fruit jelly with jalapeño jelly. 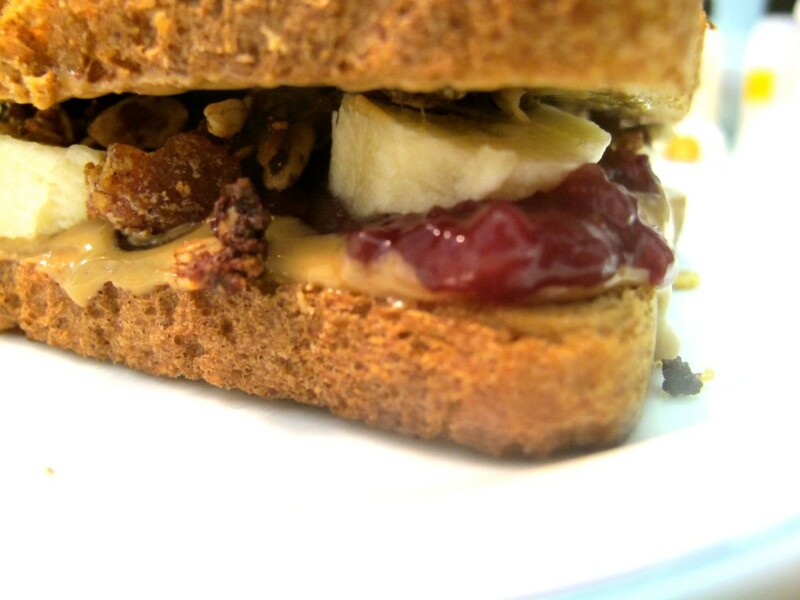 Maximize the delicious gooeyness of a peanut butter and jelly by heating up the classic sandwich. 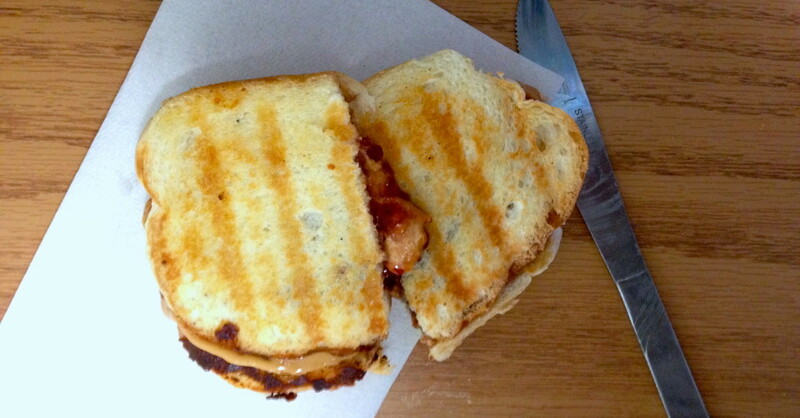 You can place the PB&J in a Panini Press or fry it up in a pan like a grilled cheese. Adding heat will not only warm the center, but will also toast the bread, creating a crunchy exterior. 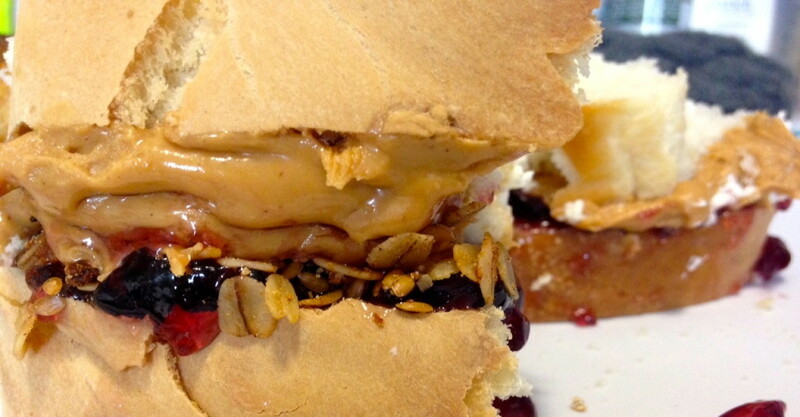 The heat makes the layers of peanut butter and the jelly melt perfectly together. Who doesn’t want that? 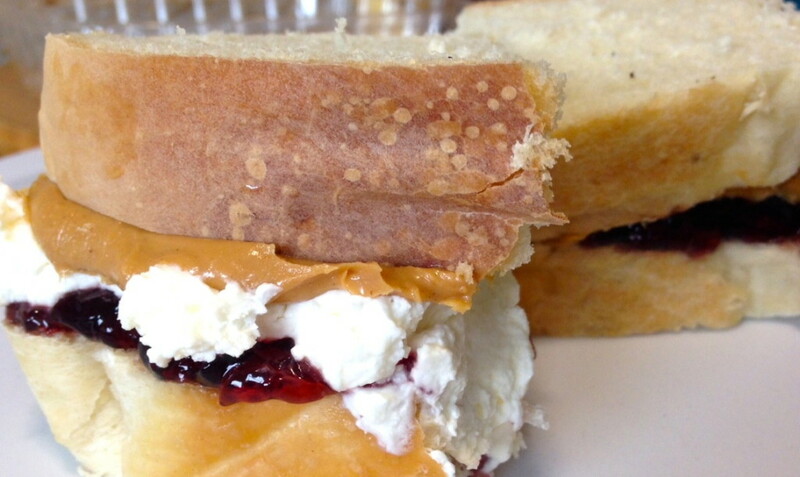 While classic white bread works, simply changing the bread will drastically alter your entire PB&J. Choose multigrain bread to increase nuttiness, a bagel for a more dense and hearty sensation, cinnamon bread for a sweeter flavor or, if your on that sugar high, put your spread between two slices of banana bread, or any pastry for that matter. Add some character to this generally creamy sandwich by throwing in something crunchy. Granola, pretzels or even crispy potato chips can make a PB&J far more exciting by adding chewy components. 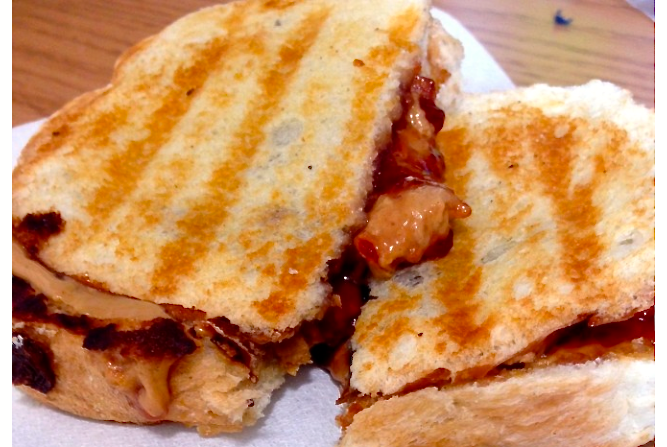 Everything is better with bacon… Yes, even a PB&J. Salty, sweet, succulent, smoky—must I say more? In honor of the king (Elvis) add a layer of perfectly ripened bananas. 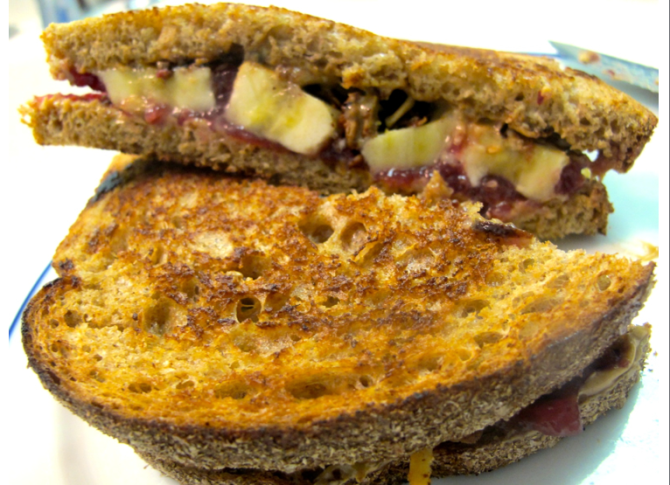 For a more dense or tart sandwich, the addition of apples or dried fruits work great too. Peanut butter and jelly always welcome other spreads. Whether it’s Nutella, Marshmallow Fluff, honey, cookie butter, or all of the above, you really can’t go wrong. 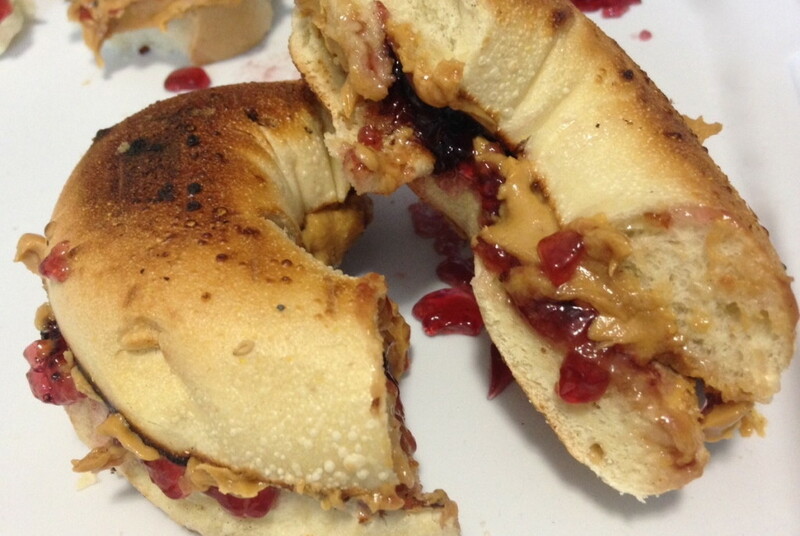 Are you ever devouring a PB&J for lunch and it’s just missing something hearty? It may sound crazy at first, but adding a layer of cream cheese or Brie adds a rich and tangy flavor that offsets the sugar and amps up the sophistication. Many of these tricks would actually go great together; how does a single peanut butter and jelly sandwich with crunchy nuts, soft bananas, smooth chocolate spread, smoky bacon, and crispy potato chips sound?…The possibilities are endless.